Dr. Nan Crystal Arens is an Associate Professor of Geosciences at Hobart and William Smith Colleges in New York. She received her Masters degree in Geology from Pennsylvania State University as well as a Masters degree in Biology from Harvard University. Nan then went on to complete her PhD in Biology at Harvard. She served as a faculty member at the University of California at Berkeley and Curator of Fossil Plants at the University of California Museum of Paleontology before joining the faculty at Hobart and William Smith. Nan is with us today to tell us all about her journey through life and science. Nan Crystal Arens is a paleobotanist at Hobart & William Smith Colleges where she has worked since 2001. 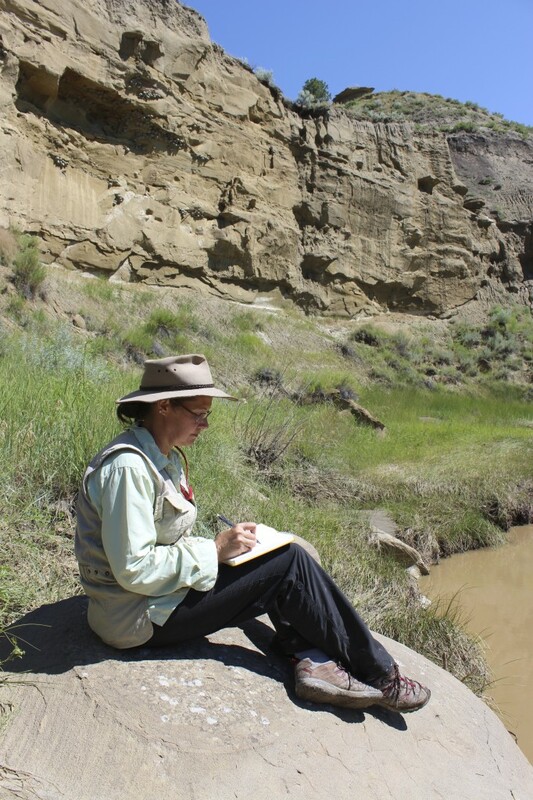 Her work focuses on how ancient plants—mostly from the time of the dinosaurs—changed in response to their environment. She is particularly interested in how environmental change affects vegetation and, in some cases, contributes to extinction. Researchers in her lab work on reconstructing past climates and environments, including thinking about the animals that walked among and munched on the plants that they study. Nan teaches geology, Earth history and environmental science. In her free time she enjoys cooking with her young daughters, sewing, knitting and running with her shetland sheepdog.